St James the Great Church01760 338562work ChurchThe church of St. James stands in the middle of the Castle Acre village amidst the ruins of the Norman Castle and those of Castle Acre Priory. Visitors can often miss the church, which is a great shame for it contains many interesting features, including the wine glass pulpit. Plus the medieval rood screen and font cover are notable. 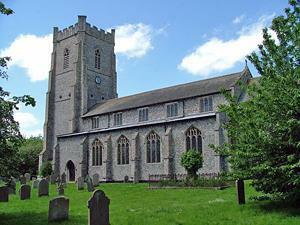 The Friends of Castle Acre Church assist with raising funds to maintain this fine church. Works are being completed for a major restoration to the Church Tower. Home to the church, the quintessential village of Castle Acre is a major tourist centre for Norfolk. The church of St. James stands in the middle of the Castle Acre village amidst the ruins of the Norman Castle and those of Castle Acre Priory. Visitors can often miss the church, which is a great shame for it contains many interesting features, including the wine glass pulpit.